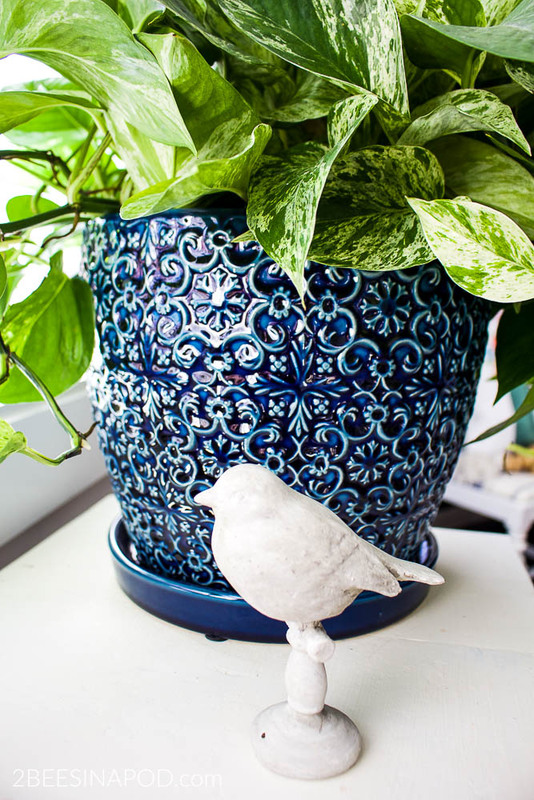 Did you know that having live plants in your home was good for your health? Here are some of the easiest indoor plants to grow in your home. Welcome to another monthly installment of Back to Basics. 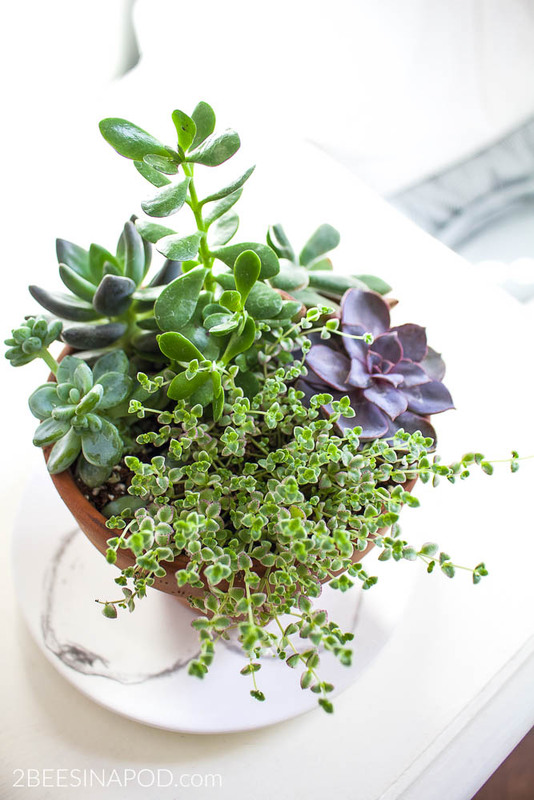 This month is all about Easiest Indoor Plants. 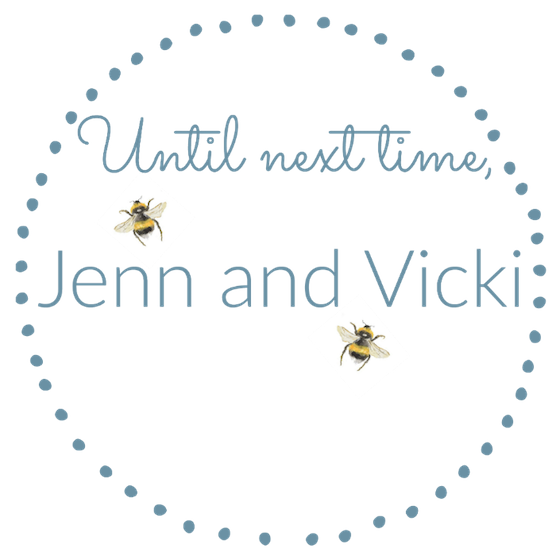 The other fabulous ladies have their own great ideas to share, so don’t forget to visit them at the end of this post. 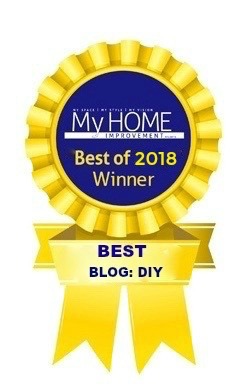 You might remember some of our past posts How to Style a Coffee Table, How to Chalk Paint Furniture, Pantry Organization and Easy Flower Arrangements. My love for plants started early. 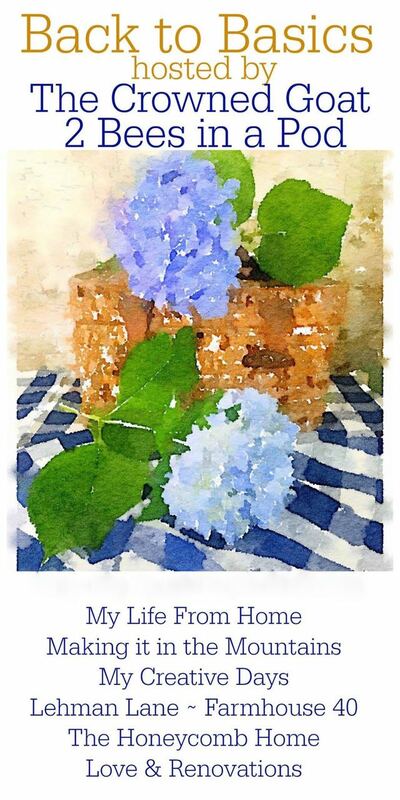 As a young girl I always had plants in my bedroom. Grandma Irma always gave me african violets that she propagated herself and presented in beautiful pottery containers. Also at an early age I taught myself to macrame. I made macrame plant hangers that held larger spider vine plants in them. Ever so dramatic for a young girls room LOL. 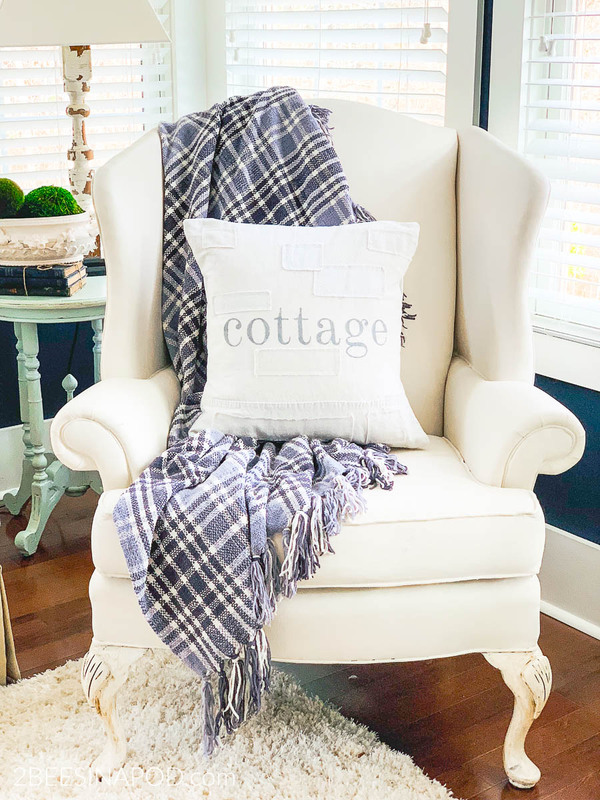 I’m a firm believer that the plants in my home need not be fussy or hard to to care of. 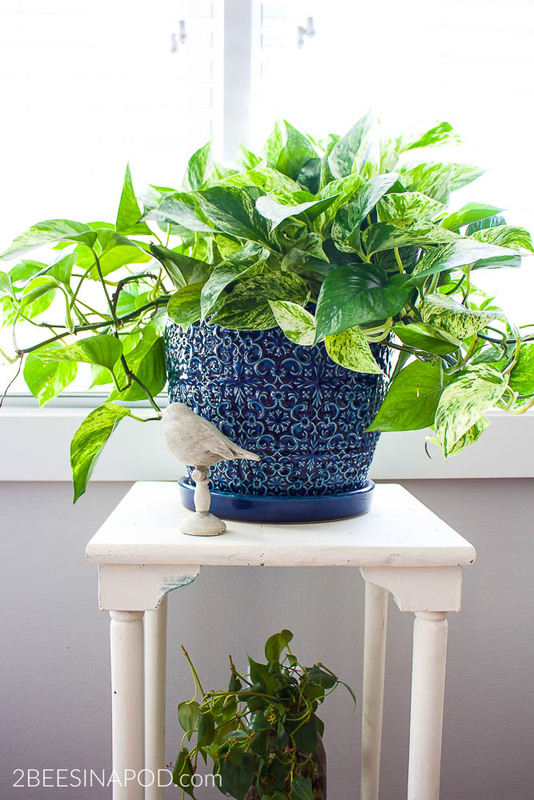 These are are my go-to easiest indoor plants to care for. Why Indoor Plants Make You Feel Better? Seeing greenery and nature helps us naturally feel more relaxed and calm. Indoor plants serve a practical and aesthetic benefit as they will increase your levels of positivity and overall mood. Plants release oxygen and absorb carbon dioxide. This not only freshens up the air, but also eliminates harmful toxins. Who doesn’t appreciate cleaner air? Plants can also help you get a better nights sleep. All of these benefits are great, but for me the plants must be easy to care for too. I don’t want to have to go to a master gardener class to care for my indoor plants 🙂 For me these are the easiest indoor plants. Now I know that y’all are going to have a hard time believing this, but I have had this golden pothos ivy for 24 years! 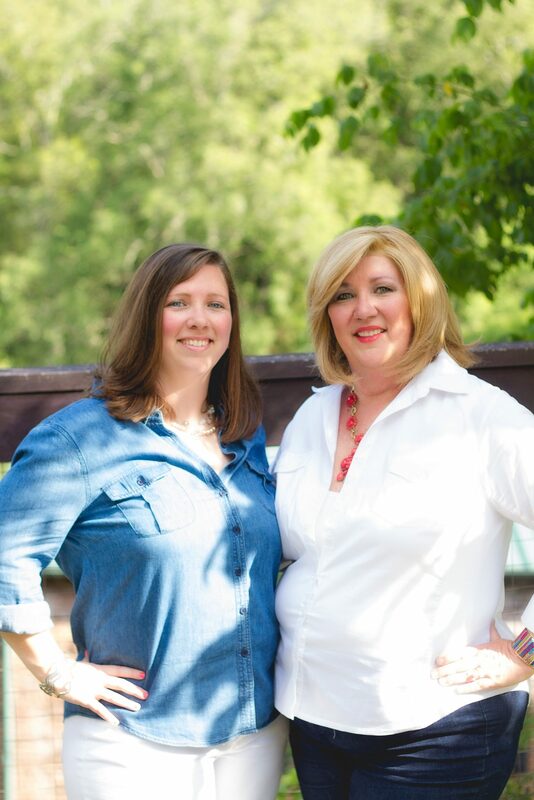 It sat on my desk for years at my job in Greensboro, NC, then came to my home in Greensboro, to our move in Atlanta and now our home in Eatonton. 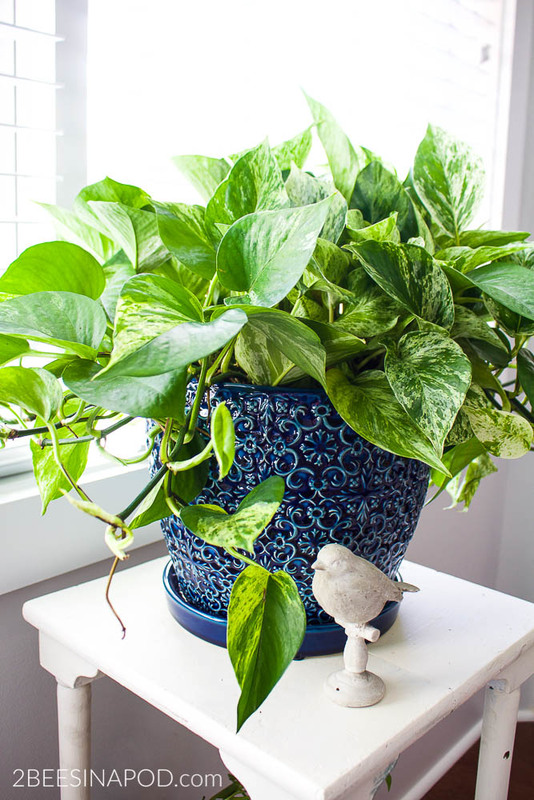 Pothos is hearty and so easy to care for. When it needs to be watered, the leaves droop just a little to signal that the plant is thirsty. Be sure to water from the bottom. Just set the plant in a saucer of water so that it can soak up the H²O goodness from the bottom. I trim the vines when they reach down to the bottom of the pot. Some people prefer to keep the vines trailing for a long time. I personally feel that this weakens the plant. Every year I repot the ivy into a slightly larger pot with fresh soil and fertilizer. The plant is placed next to a sunny window, but not in direct sunlight. 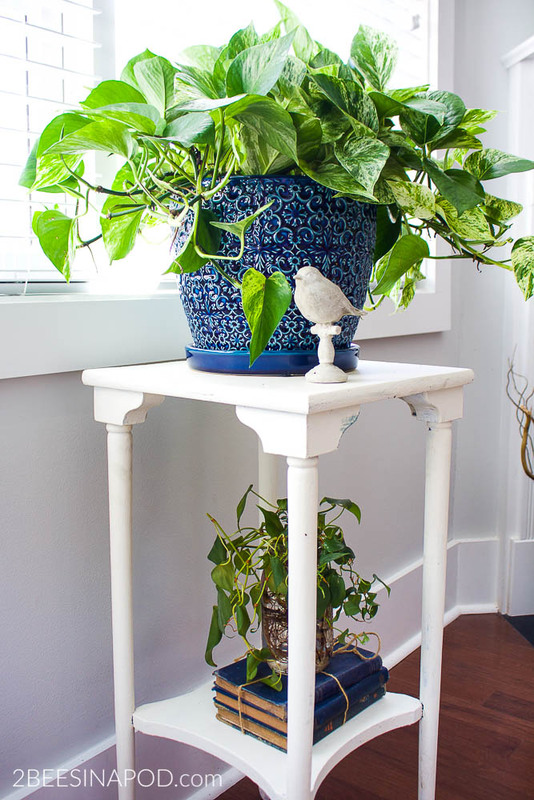 That’s it – my golden pothos ivy has stayed beautiful all of these years. 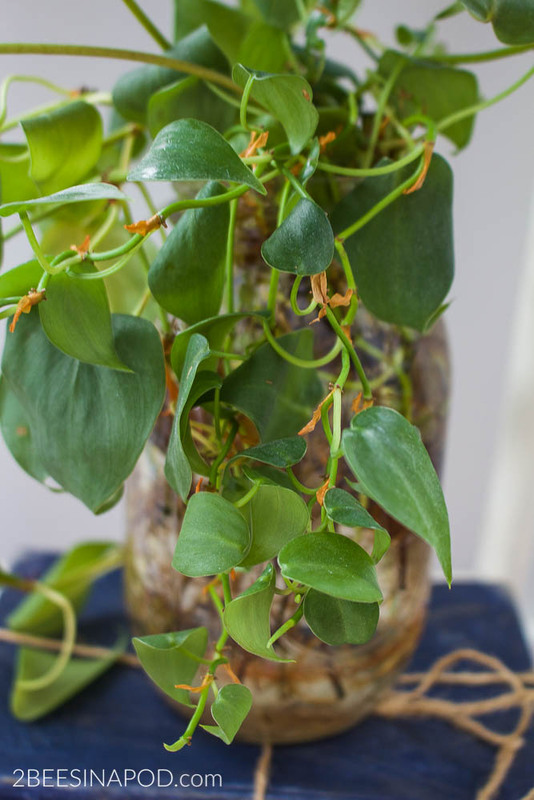 Another name for sweetheart vine is Heartleaf Philodendron. Nothing is easier than this plant. I “borrowed” a few clippings of this vine and placed them in a jar of water. End of story. 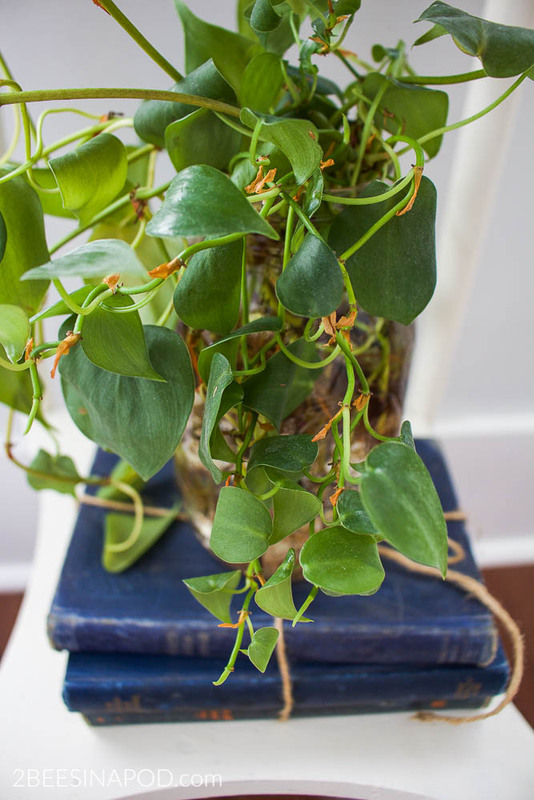 The vine clippings grow in water – no soil, dirt, or anything else have ever been added. As the vines grow, I clip them shorter and add the clippings into the jar of water. These clippings have been growing for about three years now. I have divided them into other jars around the house. Can it get any easier? Succulents are gorgeous! They come in a wide variety of colors, shapes and sizes. For me succulents are easy to care for because they are forgiving of neglect. They survive without water! In fact – they prefer it. 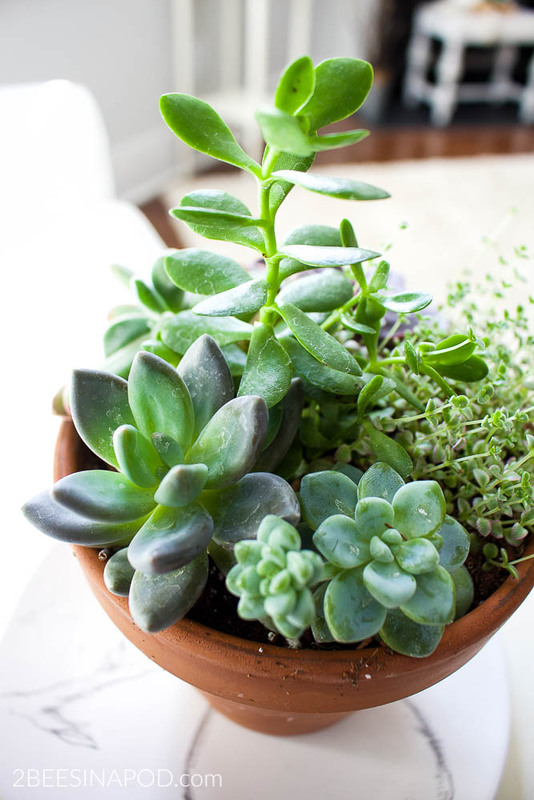 If you over-water a succulent, the roots become soggy and the plant withers and dies. Make sure you have good soil that drains well. Water once every three weeks, but do not over saturate. Many types are a rosette shape and have tightly packed leaves, which help to conserve water in their natural habitat. Succulents love light, bright rooms. Just make sure the room isn’t too hot. 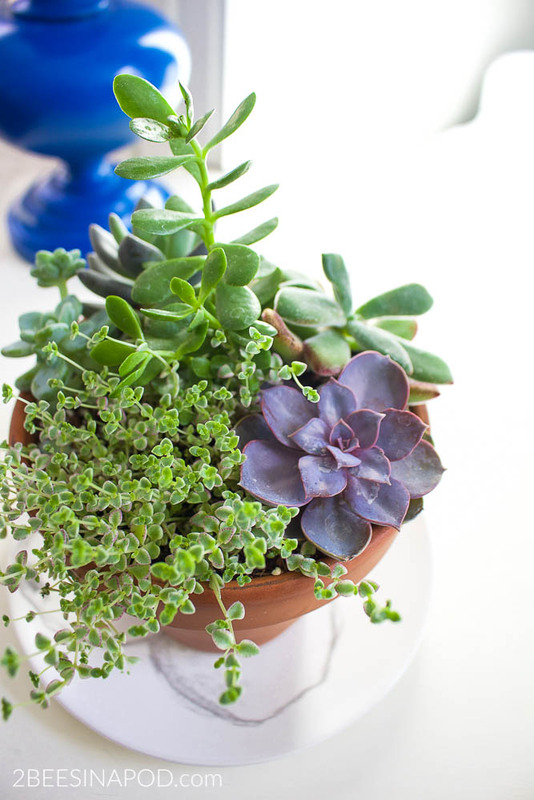 Succulents look best when you plant multiple varieties together in one container. 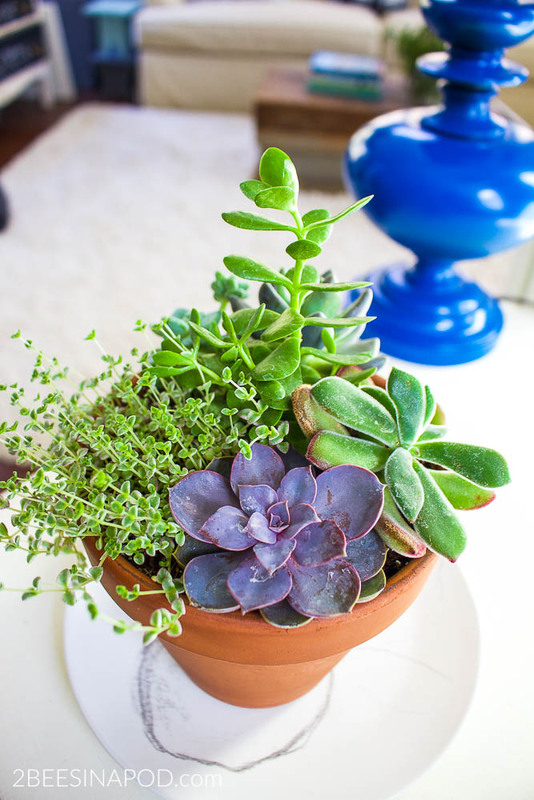 Mix and match colors with soft and pointed edges for a unique planter. 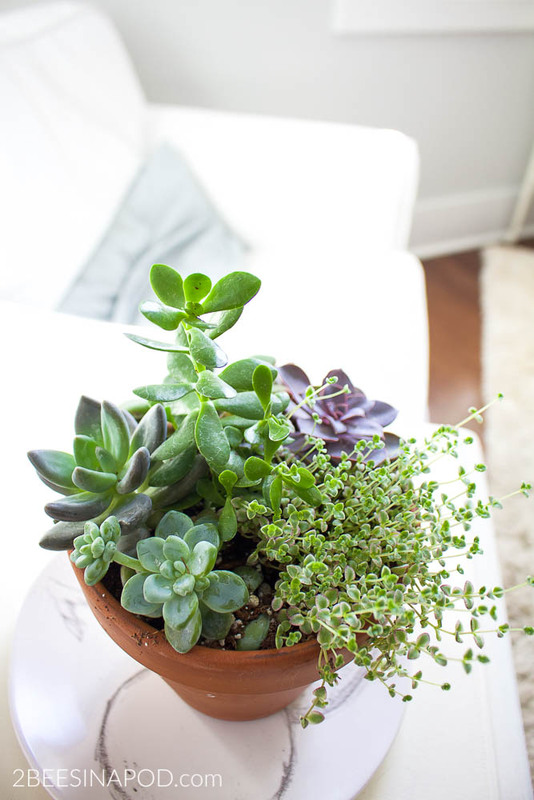 What’s your favorite indoor plant to care for? Wow! You’re right, hard to believe you’ve had your pothos ivy for 24 years. Now, that’s impressive! Thanks for this post. 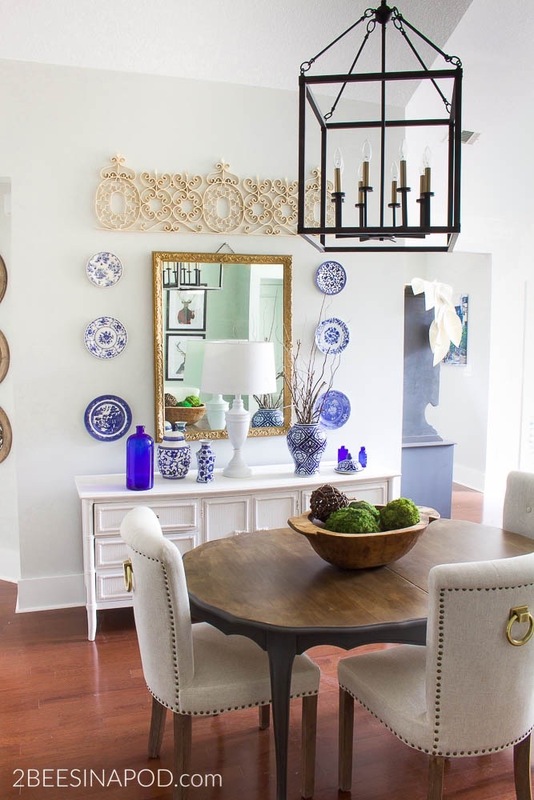 A touch of greenery in rooms really can freshen up the space. 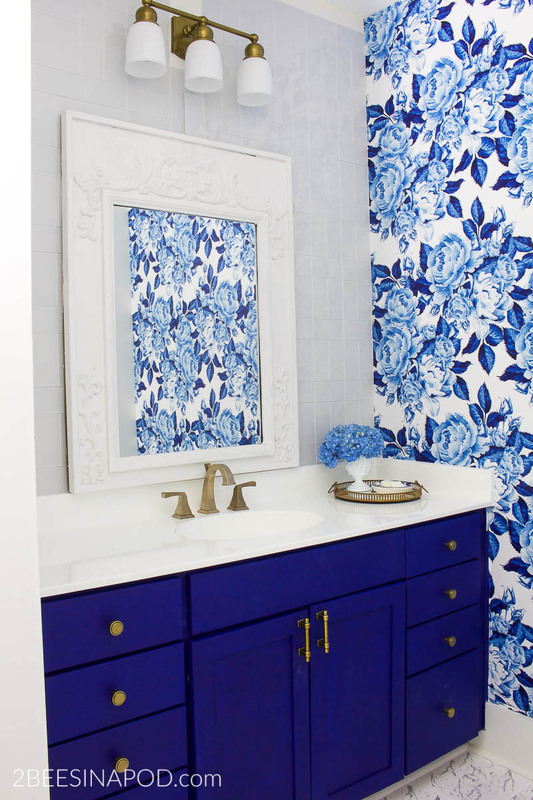 A plant in a room alway freshens up space. I love succulents. I’m trying to make my own combinations. The result always is adorable.